Anti-aging skin care especially for men’s skin An alluring fragrance and efficient skin care that is tailored to the structure of masculine skin. It contains excellent quality ingredients, effective formulations and luxurious textures that are easy to use. The DermoConfort products make up a “service package” to give skin a more toned and dense look with a smooth micro relief: Active ingredients that reduce lines have been provided with an intensive moisturizing effect and give skin more firmness and elasticity. This prevents the signs of premature skin aging. Active ingredients for comfort round off the concept and are essential for the feel-good factor. 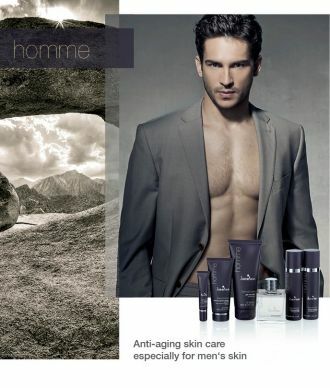 homme products bring men quickly, effectively and easily directly to their goal in a masculine way!